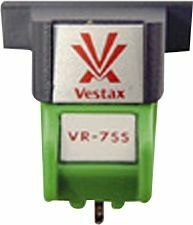 Vestax VR-7EE Cartridge DJParts - All Variety of Parts that DJ Needs. The VR-7EE Elliptical stylus produces more detail with a wider frequency response. Designed for house and techno music, its accurate playability is also suited for high fidelity audio use.